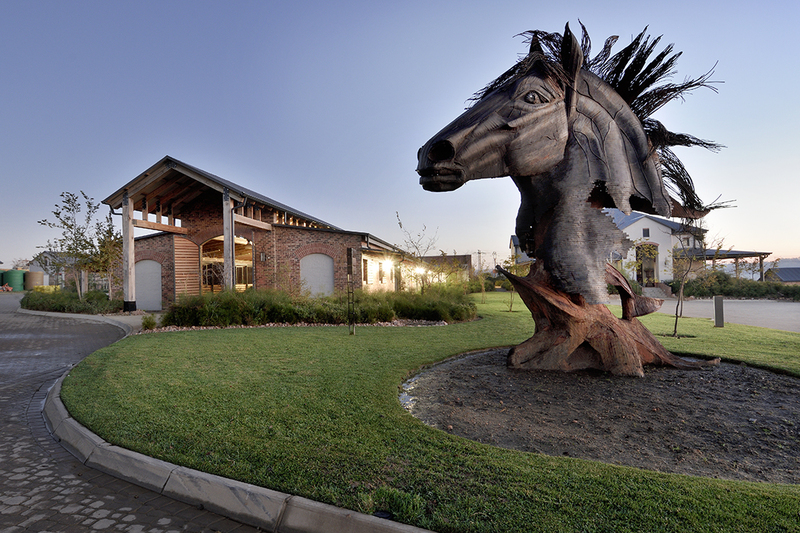 Located in the northern suburbs, Steyn City is a mixed-use lifestyle estate encompassing 900 hectares of landscaped parklands. 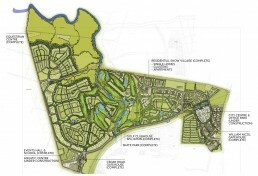 The masterplan incorporates residential offerings, business parks, retail facilities, schools and a wide range of sporting and leisure amenities. 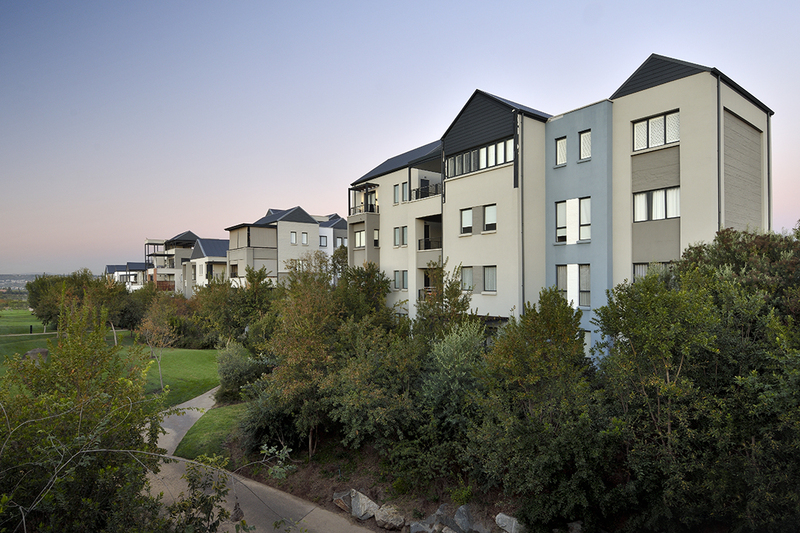 This is the guiding design principle behind Steyn City’s masterplan and as such informs every design intervention - from the residential offerings, Equestrian Centre and Golf Course, to the design of multiple transport and exercise networks, integrated infrastructure and amenities. The urban design concept taps into a broader, more holistic view of what constitutes and contributes to a healthy lifestyle, incorporating every aspect that facilitates the wellbeing, ease of living and needs of all residents at every stage of the lifecycle.Envisioned as a cohesive urban parkland environment with an aesthetic of openness and accessibility, Steyn City is built and designed to raise the quality of life for all its residents. 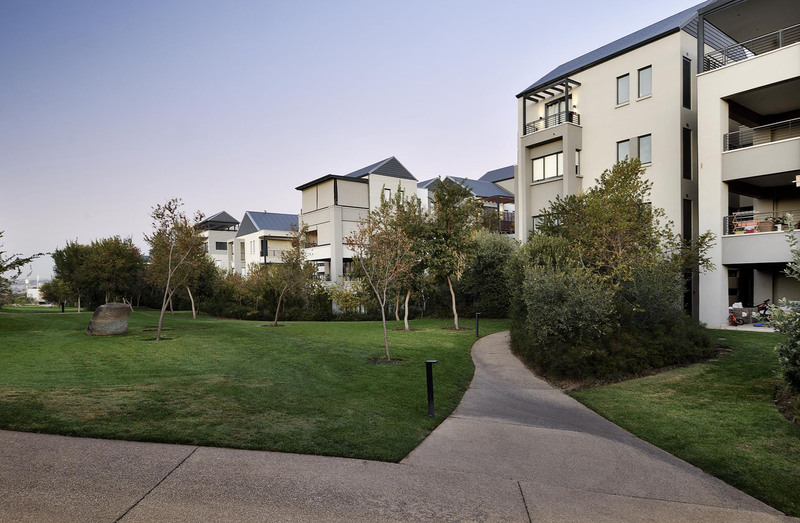 Steyn City’s masterplan incorporates a wide range of residential options catering to the lifecycle needs of everyone from young couples starting out to families and retirees. 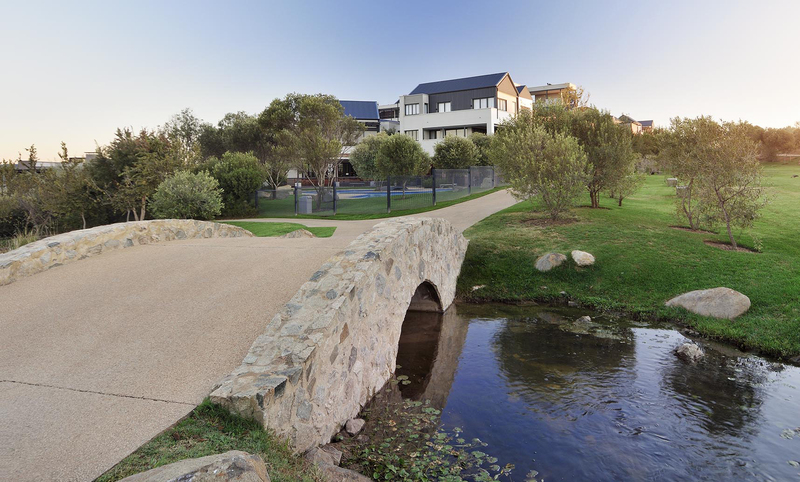 From high-density inner city living to apartments, townhouse clusters and homes, all residences regardless of size or scale have direct access to the vast network of paths, walkways, cycle lanes and landscaped parklands that connect all areas of the estate. Careful consideration was given to the spaces between buildings and the manner in which the residences related to the outdoor parklands. 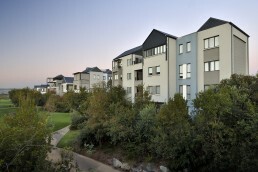 Village style apartment blocks were achieved by breaking down the mass of buildings to 3, 4 and 5 storeys in height, creating an articulate appearance that integrates more organically with the landscape giving the appearance of having grown over time. As the main design consideration was to create an unprecedented quality of life for residents, no architectural theme dominates. The common thread is proportion, quality materials and a good colour palette that enables the architecture to enhance its surroundings. 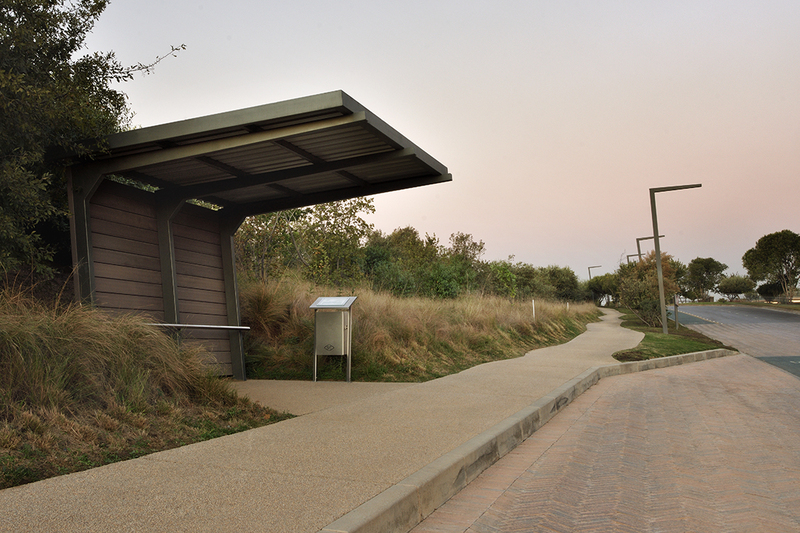 With walkways, cycle lanes, roads and public transport layered alongside one another – seamlessly connecting the vast parklands, neighbourhoods, amenities and facilities – Steyn City offers ease of access and ability to move around freely, further facilitating a better quality of life. 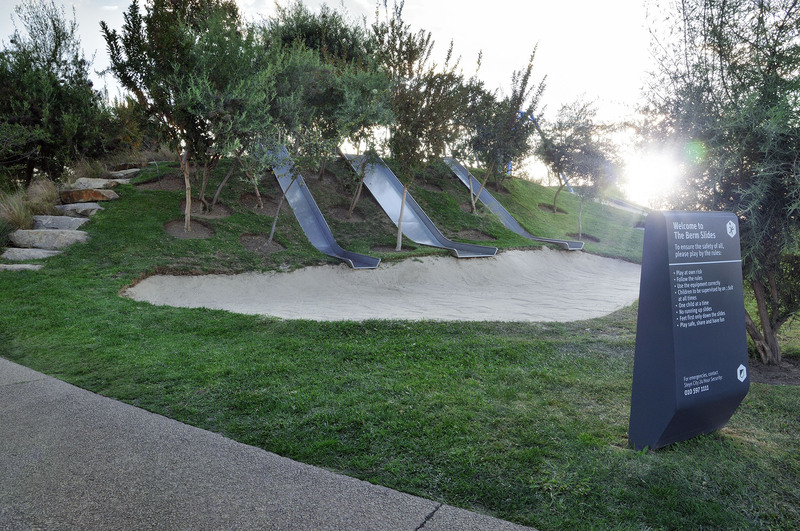 From skate parks, resort-style swimming pools and sports fields to outdoor playgrounds, recreational zones and leisure areas, a multitude of outdoor activities are effortlessly integrated into the overall park space design. In addition, the school’s Aquatic Centre and 300-seater multimedia school hall double up as community facilities, adding value and actively bringing residents together. 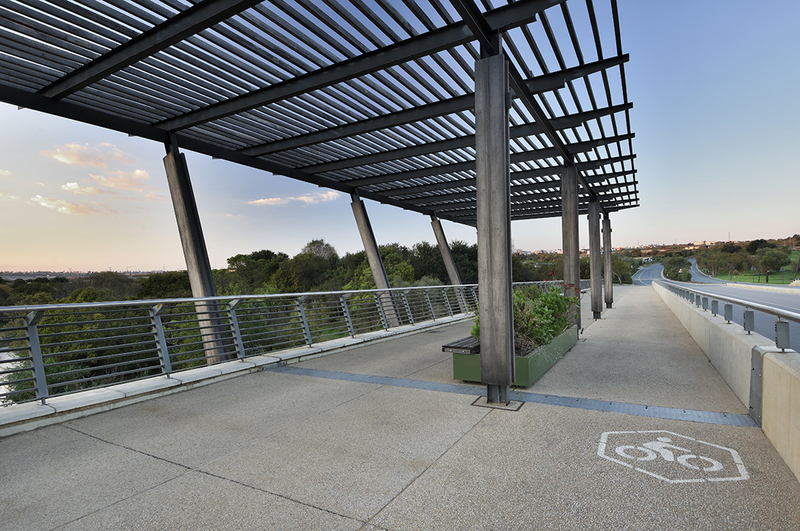 All of these design interventions were envisioned from the outset to deliver an urban environment that’s geared around a healthy active lifestyle where residents feel connected to and part of a diverse vibrant community. The 18-hole Jack Nichalaus designed golf course sits at the heart of the estate. 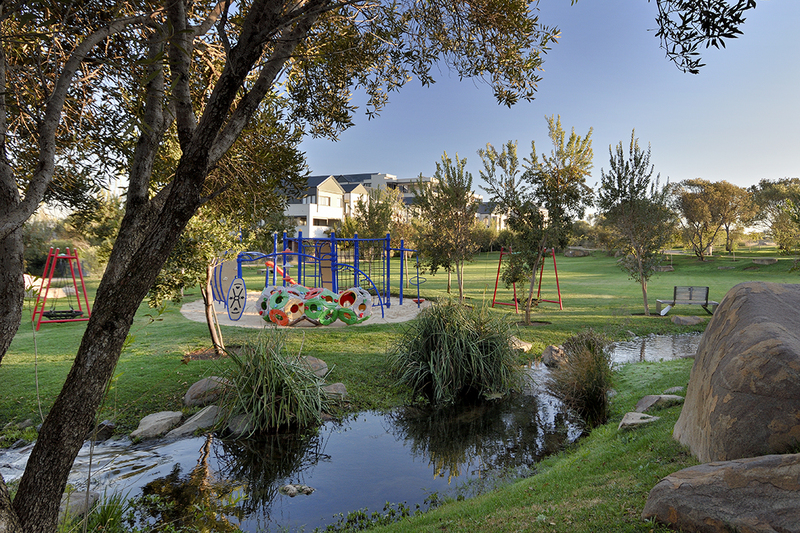 Pristine fairways and rolling greens nestle between natural landscapes and the Jukskei River, offering spectacular views of the estate’s surroundings and yet another healthy outdoor lifestyle facility. Overlooking the golf course and picturesque dams with magnificent views all round, Steyn City’s award-winning Clubhouse, defies convention, disappearing effortlessly into the grassy green landscapes. A 5km pedestrian boulevard connects the city centre to the Equestrian Centre, which is situated on the northern border of the estate, overlooking adjacent lush parkland. 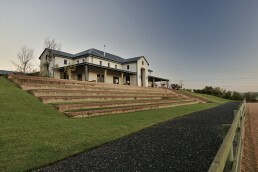 With more than 40 kilometres of bridle paths incorporated into the estate’s parkland network, residents have access to yet another outdoor activity and way to explore the estate.Architecturally, the Equestrian Centre embodies a rustic barn house style through its exposed facebrick and gumpole portal frames. 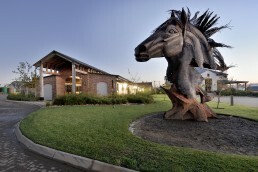 This world-class show-jumping facility offers a state of the art automated horse exerciser, 36 stables and space for 36 more. 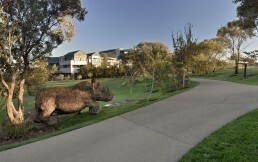 The complex also includes a clubhouse and restaurant, offering casual dining and wood-fired pizzas providing further opportunities for social engagement. 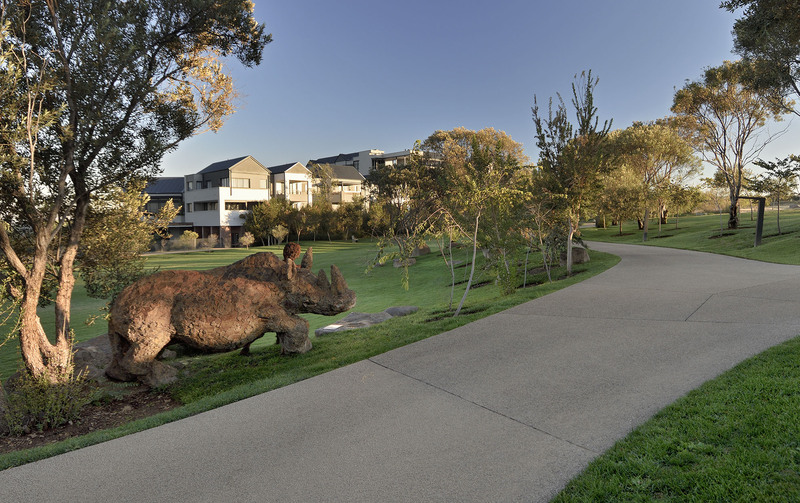 With 900 hectares of landscaped parklands and an 18-hole championship golf course to maintain, water sustainability was key to preserving the aesthetics of the estate, while protecting the environment. To achieve this, grey water is harvested from a nearby plant, treated and fed into Steyn City’s irrigation systems. Stored in dams, the water is gravity fed through the irrigation and stream systems and pumped back up into the dams. 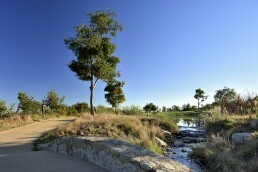 Designed with the environment in mind, water features and streams wind naturally through the parklands towards the storage dams and Jukskei River. 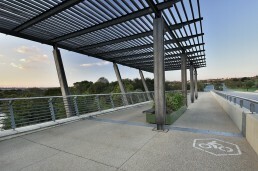 Sustainable practices were sewn into the landscape design with an indigenous water-wise planting palette and mature trees creating natural park-like landscapes. Easy access to world-class educational facilities that are designed specifically for each stage of development, from preschool and primary school through to high school was pivotal in promoting an environment that fulfills the developmental needs of families. 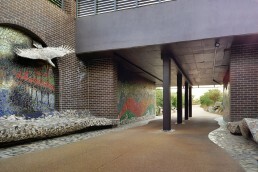 The School Precinct takes shape in two phases. 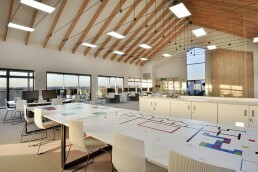 Phase 1 is complete and incorporates a Pre-primary and Primary School, Sports Pavilion and Aquatic Centre. Phase 2 of the development consists of a Secondary School for grades 8-12, a 300-seater Auditorium, Sports fields and facilities. Designed with its own administration block, staff facilities and parking, the Secondary school will include high tech science laboratories, multi-media auditorium and pre function area offering views over the entire school and Steyn City. Local artwork and sculptures feature prominently along the estate’s 14 km promenade and throughout the landscaped parklands providing residents with multiple spaces and places of inspiration while creating an aesthetic that integrates art and design into the very fabric of the estate. 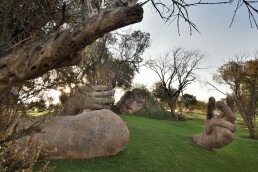 An innovative skills development programme, spearheaded by sculptor Charles Goddard, saw local artists employed, trained and mentored in the art of creating functional and fantastical outdoor sculptures.